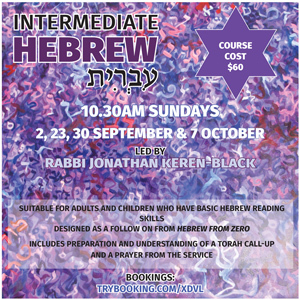 Rabbi Jonathan leads this course for those who are seeking to boost their basic skills in Hebrew. The course is designed as a follow on from Hebrew From Zero and is suitable for adults and children who have basic Hebrew reading skills. The course will include preparation and understanding of a Torah call-up and a prayer from the service.